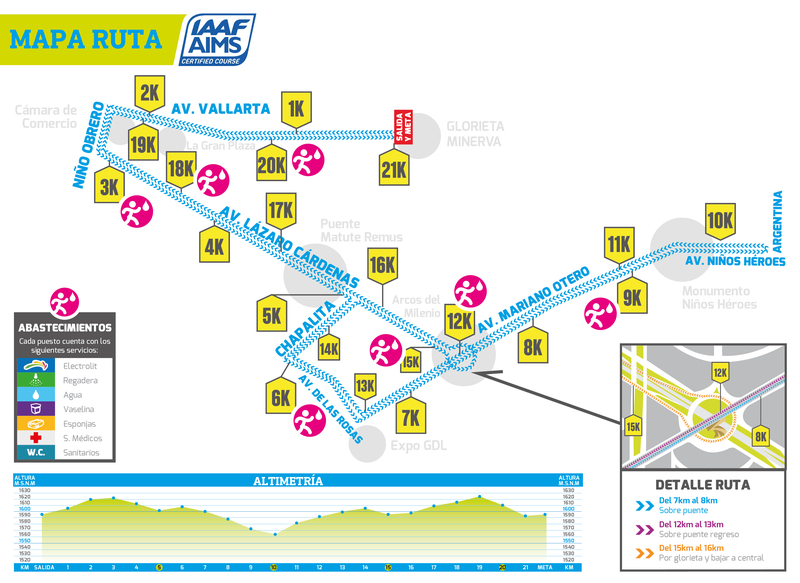 The route is certified and approved by the International Association of Athletics Federations (IAAF), the International Association of Marathons (AIMS) and the Mexican Federation of Athletic Associations AC (FMAA)participants will run along the main streets and avenues of the Metropolitan Area of City of Guadalajara. 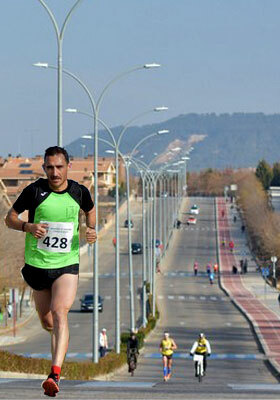 START AND FINISH: Av. Vallarta at its intersection with Morelos street.. No coaches, bikes, in-line skates, skateboards, baby joggers or dogs will be allowed on the course. Info: the Organizing Committee reserves the right to modify the route of the half marathon, whether weather conditions, or prefectural authorizations requires it.